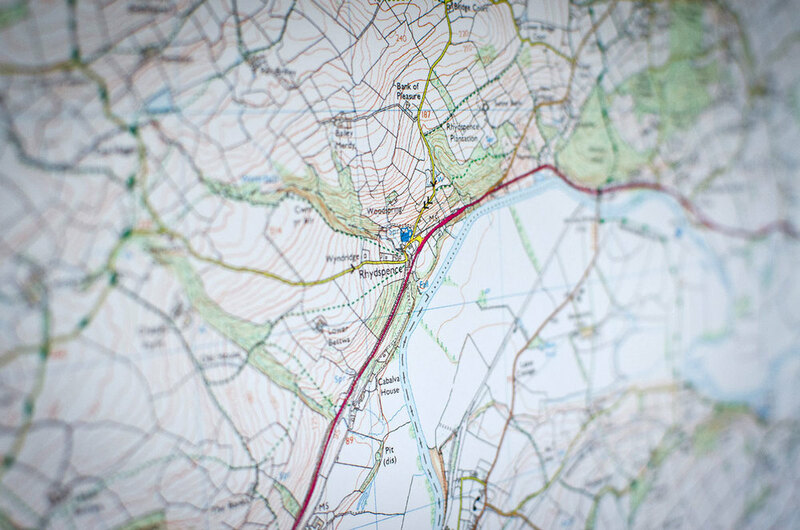 With an ordnance survey map in the hall, centred on Cabalva Mill Cottage, oak doors and traditional boot-rack, from the moment you walk in you’ll know you’ve arrived somewhere special. The large sitting room has an enormous stone fireplace with wood burning stove, together with oak floorboards and beams. Traditionally styled with local Welsh tweed curtains, Melin Tregwynt cushions and throws, pictures by local artists on the walls and a deep leather sofa and arm chairs. For your entertainment there’s a bookcase full of books, Freeview Satellite, DVD player, wifi, a telephone for outgoing and incoming calls and board games for those cosy nights in. beautifully appointed bedroom awaits. Sleep with the windows open and let the flowing water send you off. What better way to go to sleep than with the sound of a waterfall running down into the River Wye in your ears? The view is extraordinary too, with ancient woodland, the river and the Black Mountains beyond to divert your eye. Our super kingside bed has a supremely comfortable mattress and 400 thread count Egyptian cotton sheets and Melin Tregwynt cushions and throws and hot water bottles make sleeping in a treat not to be missed. We provide a hair dryer for you. The bathroom is modern, tiled and warm. There is a bath, with shower above, WC and basin. The well appointed kitchen is stocked with all the essentials you need - and a few local treats too. The kitchen also looks out over the River Wye with spacious seating for 4. The kitchen has a glazed dresser, double oven, fridge, microwave oven, washer dryer and of course all you need for cooking and eating. A welcome basket of local cider, local crisps, Welsh cakes baked at home by us and milk, fresh bread, free range eggs and sausages and bacon for your first breakfast. Kitchen essentials to include salt, pepper, tea, coffee, sugar, cling film, tin foil, washing up liquid and laundry detergent. You can order your shopping from a supermarket (Tesco deliver to Mill Cottage) and have it delivered by supermarket. By prior arrangement, we can put it away for you ready for your arrival. Veg boxes from local farm shop are also available, by prior arrangement. Locally made and sourced Douglas Fir seats and table invite you to relax and enjoy the River Wye and the abundance of birds and wildlife that flourish in this secluded spot. We’ve also provided a barbeque so you can cook al fresco when the weather is warm. And just so you know…. The cottage is heated by oil fired boiler – along with the wood burning stove in the sitting room, with seasoned wood from our own forestry … and if it’s chilly, the fire will be lit.